In April 2009, search engine optimization professionals learned that a common tactic for directing link equity on a site had been more-or-less ineffective for more than a year. 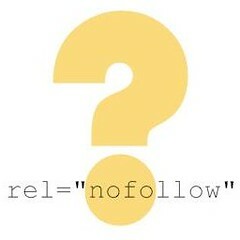 The technique, known as PageRank sculpting, relied on the rel=”nofollow” link element to keep PageRank value on pages targeted for SERP ranking. At SMX Advanced in Seattle, it became clear that the nofollow element had changed, no longer preserving PageRank on a page, but instead, causing PageRank to disappear. There has been no shortage of coverage following Matt Cutts’s recommendations for nofollow use. At Bruce Clay, Inc., we have talked about it on the blog, in the newsletter, and now, on this week’s episode of SEM Synergy. Bruce sits down with Susan and Virginia for the whole show to give his input on what the new nofollow behavior means for SEO, siloing and search optimization practitioners. They discuss why SEOs and site managers should avoid overreacting, the remaining uses of the nofollow element, and alternate ways of directing PageRank flow. Bing, Microsoft’s new search engine, was launched June 1, and in the weeks since its release, Bing has been the source of much discussion. Bruce, Susan and Virginia talk about Bing’s growing search share, findings of an eye tracking study on Bing results, and some initial analysis on the quality of Bing results. Based on Bruce, Susan and Virginia’s initial experiments, Bing results have improved since the days of Live Search. The name of the new engine also conjures up some interesting images and ideas from the hosts. Bing director Stefan Weitz is today’s guest, and he talks to Virginia about how webmasters and SEOs can optimize for Bing, Microsoft’s strategy for growing search share, and why Bing was developed as a “decision engine.” Webmasters and SEOs will be pleased with the fact that sites have a better chance to rank for broad terms since Bing’s categorized results allow users to refine queries from the results page. Then Susan, Michael and Virginia look at some news stories because Bing wasn’t the only thing making headlines in the search space. Google Squared gets a rather low review from the hosts, while Google Wave merely confuses them regarding what it will be used for. Then they discuss the newly reported behavior of the nofollow link element, the sole subject of next week’s episode, which premiers June 24. In his role as founder and vice president of product development at WordStream, Larry Kim plays a vital role in his company’s inbound marketing efforts. Inbound marketing involves getting potential customers to come to your business. In contrast, traditional or outbound marketing is all about getting a marketing message in front of a potential consumer. Another common way to think of the two marketing methods is push and pull marketing, where push marketing is more traditional and pull marketing is aligned with inbound marketing. Larry, is cautious of falling into the trap of espousing theoretical virtues of inbound marketing. Instead he offers pragmatic suggestions for improving inbound marketing efforts. Susan, Michael and Virginia finish off with a look at the psychology of inbound marketing. There’s a very different scenario that happens when a customer comes to a business because they want to and when a business reaches out to a customer when that contact is unexpected. The proactive customer who is looking for a solution is in a mindset much better suited to performing a conversion. As outbound marketing becomes easier to block through technology like spam filters and DVRs, inbound marketing may prove a more reliable strategy in the future. With Wolfram Alpha and some of the new Google features announced at Searchology last month, the possibilities of data visualization were made more apparent to the public. But presenting data in meaningful ways has long been a goal for professionals within the Internet marketing industry. Today’s show is about data visualization, including how it can help Internet marketing professionals, as well as current applications in tools and analytics products. One well-regarded analytics suite that utilizes data visualization in innovative ways is Enquisite. Richard Zwicky, founder and president of Enquisite, talks to Virginia about data visualization, such as map overlays that look at where site visitors are coming from and longtail keyword charts. At Enquisite, the company uses feedback from SEOs to continually improve reporting and data presentation. He explains that there has been a growth in how analytics solutions present data visually which has happened alongside a growing expectation among search professionals who use those tools. Then Bradley, Susan and Virginia look at a few tools that present data visually and the different purposes served. Tools like Crazy Egg and Web Profiler are data interpreters, filtering sample data into a picture. Free Mind and Visio are visual thinking tools, helping with problem solving by representing data elements as icons or symbols. Other tools, like Excel or screen captures, aid in visual documentation. Communication made visible helps illustrate concepts to those who have never seen the data before. It can also reveal connections that were not previously identified.